Could Justin Timberlake be a bad tipper? “…the chart-topper joined several pals for a two-hour lunch at a Brisbane eatery this week, noshing on lamb masala curry and downing ginger beer. The restaurant, following the rule that says those who earn the most must be given things free, proceeded to comp his $135 tab. But the paper says Justin’s group breached freebie etiquette by exiting the restaurant without leaving a tip. Now, now. JT probably got really, really bad service and his food was probably outrageously horrible. Oh, and his table was most likely wobbly to boot. That’s probably why he didn’t leave ANY tip at all. I’m sure of it. 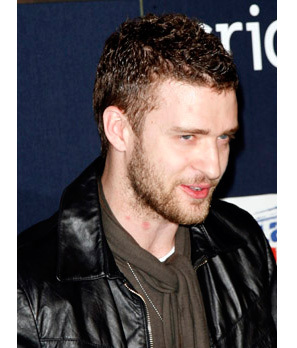 But seriously Justin Timberlake is a weasel -always has been. This is a rare occasion when I agree with my brother. If somebody comps your dinner, and you’re already rich, leave a tip! You can tell everything you need to know about a person by how they tip. Doesn’t say much for you, weasel-boy. Breaking News: Julia Roberts is an awesome tipper. Is Luke Wilson a good tipper? Is Pink a big tipper? When you get comp’d you should leave an even BIGGER tip than you normally would! Duh, why should your server get screwed outta their rent money just because the owner wants you to be seen in their restaurant!? Rule of thumb, whenever I get comp’d we leave almost whatever the amount of the check WOULD have been if its a small tab, and about half of what the check would have been if it is a big one. For instance, comp me a measly $15 lunch and I leave about $12-$15, comp me a $300 bartab and my buddies and I are leaving $125-$150 or so. Whatever I have in my pocket that is close but without asking for change. Its a great tip for the server, you are still saving a bunch of loot, and the restaurant owner is getting the publicity of having you eat there. Good deal for all parties involved and you get great word-of-mouth from the server who tells all her friends and the other dining guests how great you are. Why ruin your reputation over $25-50? Im just a bartender, but if I were a millionaire celeb knowing that camera phones and papparazzi were all over me I would be dropping everyone from the valet to the busser a twenty or a hundo to help my image! Thats pocket change to these people but they could make a dozen blue collar people’s day every day if they wanted to. Why not? Apparently they would rather wind up getting blasted on your website! That, and if you stiff them like that, you aren’t getting comped next time. It’s just dumb. He is handsome and I saw him at the millionaire&celebrity dating club Seekwealthy.com last week. He has a account here. What Eric said. PEOPLE DONT TIP IN AUSTRALIA. Ask any server in America how fun it is to get an Aussie table; I had one the other night, they left a $10 tip on a $338 tab. I don’t think that’s such a bad thing. If you lived in Australia you’de understand, waitstaff already earn about 3 times (often even more) than what they get in America. You only really tip in Australia if the service/food is really good. Given that it was complementary, I think he should have left about $20 bucks though, but it’s not like the waitstaff would lose out by him not leaving a tip. impact on alleviating your tinnitus symptoms.